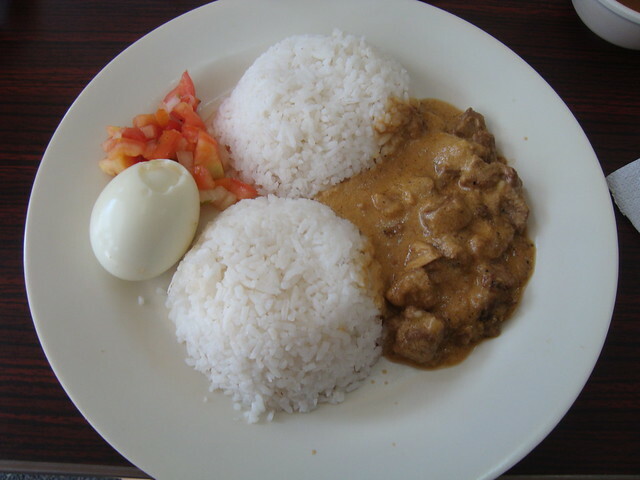 Adobo To’ is an eatery located inside San Antonio Village in Pasig City. The first time I learned about this place was when it has been featured in QTV11, Ang Pinaka Budget-Friendly Tsibugan. I tried it out yesterday during lunch time with my friend after we went to Robinson’s Galleria. Since there were a lot of people, who are mostly employees from nearby offices, during lunch time, securing a table/seat was kind of difficult. It was a good thing that we arrived 10 minutes earlier before people flocked in. 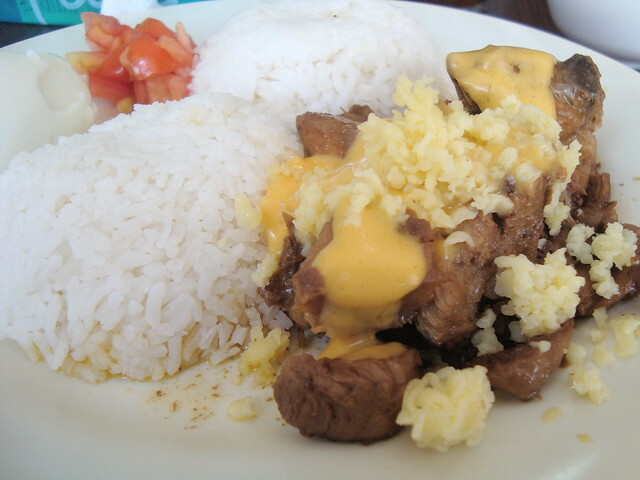 We tried Cheesy Adobo and Coco Adobo. Both meals were served with hard-boiled egg and tomato salsa with 2 cups of rice. I wanted to try the Spicy Adobo next time. The meal was good and the cheese made it taste even better. I liked it. And combined with hard-boiled egg and tomato salsa, it was a indeed an affordable meal. Next story Eat, Fun and Love! felt walking in the middle of nowhere (similar to a hot dessert) with the price at the end of the road (food!!!! and cold tropicana!).. watta reward!